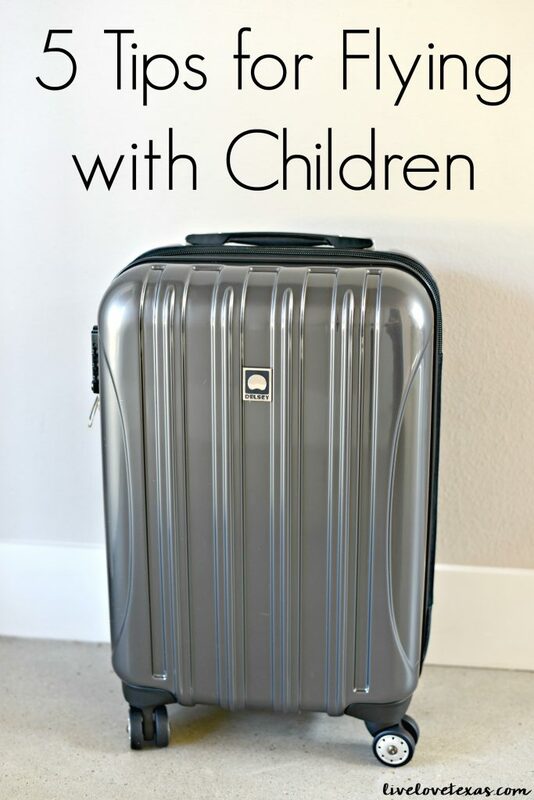 These 5 Tips for Flying with Children is brought to you by Luggage Online and The Motherhood. All opinions are my own. Road tripping has always been our family’s thing. We’re in control of time table, have lots of space, and can stop whenever we need to. There’s no security lines, tiny bathrooms, or ear popping when you drive. But there are some places you just can’t drive. Or, at least we can’t. Or won’t. We just got back from Disney World and that was just a little too far for us to drive to. Especially during the school year. So we bit the bullet and flew. This was our first time flying with children and while we expected the worse, it really couldn’t have turned out better. If you’re worried about flying with children or have a flight on the horizon, check out these tips to ensure a smooth and happy flight. 1. Plan ahead. Pick your seat when you book. If you’re flying with younger kids put them on the most inside seat possible. We have two girls and what we’ve found works best for us is to have the girls sit in the window and middle seat with my husband and I sitting across the aisle from each other if there are three seats on each side of the aisle. Or, if there are only two giving each girl the window seat and sitting in the row in front of or behind the other one so it’s easier to chat and pass items back and forth. 2. Bring snacks and empty water bottles. Kids are notoriously impatient and always hungry. Having a stash of snacks you know they’ll eat and a water bottle you can fill after passing through security definitely helps save money and your sanity when flying with children. 3. iPad or tablet and headphones. Where was this when we were growing up. Flying with children is so much easier when they can stay entertained and engaged in a movie or game. And headphones are essential for not only their enjoyment (while I hate playing games with sound, my girls don’t think it’s nearly as fun without it) but the comfort of other passengers. It’s amazing how quick a 3 hour plane rides goes by when you’re not hearing, “are we there yet?” on repeat. 4. Don’t rush. Check in early to provide additional time to take bathroom breaks before getting on the plane and getting settled in before takeoff. Direct flights are ideal but if you do have a layover make sure that it’s not too tight. The stress is just not worth having a layover that’s too short. Anything can happen when you’re traveling and layovers are inevitable. I’d urge against layovers shorter than 45 minutes at a minimum. Don’t forget to take potty breaks immediately before and after you get off a light when flying with children. Take it from me, t’s no fun squeezing into a tiny airplane bathroom with your preschooler especially when the fasten seatbelt sign has come up or people are in the process of boarding. 5. Carry on your luggage. Have all of your essentials with you throughout the trip when you carry on your luggage. You skip the long line at checkin, waiting in line at baggage claim, and risking your luggage has been lost along the way by carrying on. You do need to be careful about the luggage that you buy. Dimensions for carryon luggage have changed over the years and are based on destination and airline. When we bought our last pair of carryons, the dimensions were several inches larger than they are today. This often puts us in jeopardy of having to gate check our bag. 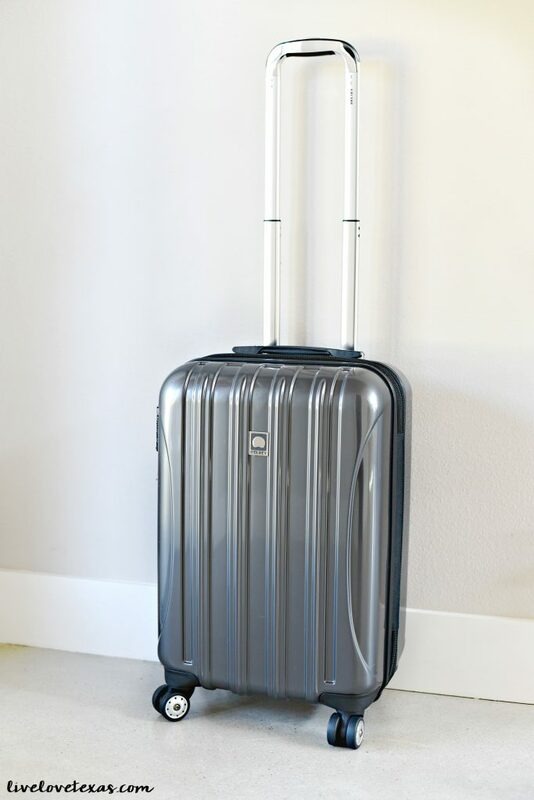 To avoid that on our next trip, we chose the Delsey Helium Aero Carry-On Expandable Spinner Trolley Case. It’s sleek, compact while being expandable, and lightweight. At less than 8.5 pounds and just over 20″ long, it’s the perfect size for fitting in overhead bins without being too heavy heft up their when flying with children. 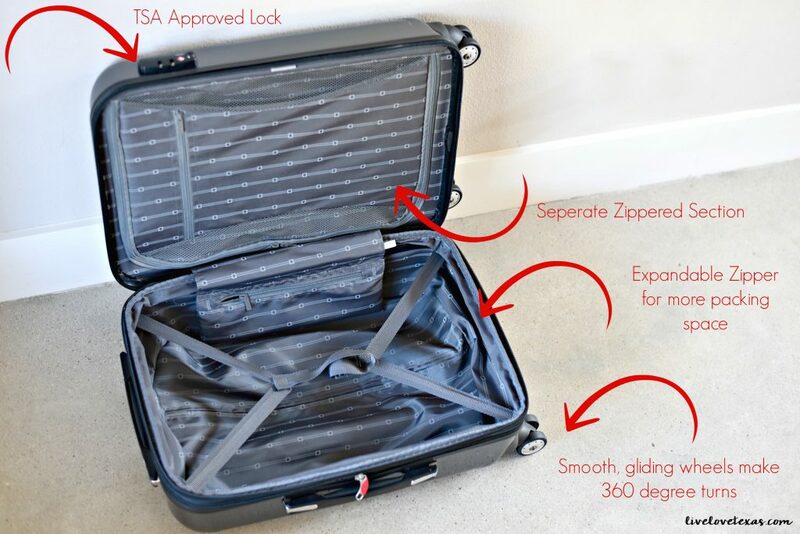 As anyone who’s owned soft-sided fabric luggage knows, they’re liable to rip and absorb odors The glossy, hard sided finish looks sophisticated while being durable. I love the expansion feature so I can pack up things for the entire family. Looking for more tips for flying with children?